Shoot faster and flatter with the TBRC Micro Comp! We have listened to the feedback of our customers and have come up with the V3 Micro Comp. The V3 will fit a wider variety of holsters, including those that are made from CNC molds and formed to extremely tight tolerances. 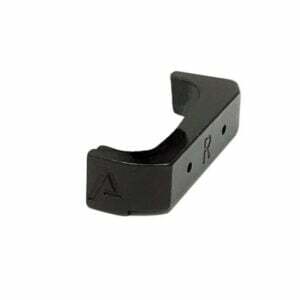 The TBRC Glock Micro Comp is threaded in the standard 1/2×28 thread pitch. Therefore, It will work on most 9mm Glock barrels threaded in that pitch, including most 40-9 conversion barrels! The Micro Comp only adds about .50″ to the end of your threaded barrel (this will vary based on the spec of your barrel). Our comp was designed for the Glock 19 and when installed will fit in all Glock 34/35 holsters. Although the comp was designed around the Glock 19, it will work very well with any 9mm Glock and will function with any open ended holsters in the event the gun is longer than the holster. Comp mitigates recoil and keeps your gun flat throughout recoil. Just like our Billet Receiver Sets and our AMR Handguards The Micro Comp is machined right here in Shiner, TX from AMERICAN MADE Billet 7075-T6 Aluminum and finished just up the road in Type III Hard Coat Anodizing. We believe strongly in supporting local and American industries. No cheap aluminum or steel for TBRC. All our material is certified made in the U.S.A.
Set screws index on your barrel’s shoulder, NOT the threads. **Please note: Adding a compensator to your pistol sometimes requires some fine tuning. Because a compensator mitigates recoil, your slide may not be able to cycle completely. Performance is gun and ammo dependent. 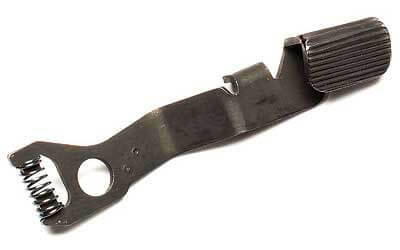 Example: I am running a 15lb recoil spring and a 5lb striker spring to ensure proper and reliable functionality. We do not recommend making these modifications without consulting a qualified Gunsmith first. The fit of the Micro Comp will vary based on the spec of you particular threaded barrel. Some barrels will allow the comp to fit more closely to the slide than others.